Florida Drunk Driving Lawsuits and Dram Shop Laws | DeLoach, Hofstra & Cavonis, P.A. Can I sue a bar for over serving a drunk driver in Florida? ?Can I receive damages for pain and suffering after a Florida car crash? ?What do I have to prove to get compensation for a pedestrian accident in Florida? ?What should I do if I was hit while walking and the driver took off? Many people assume that a drunk driver is the only person responsible for causing a DUI accident. However, there are a few third parties that can be held liable for drunk driving accidents in Florida, such as the person or establishment that provided alcohol to the driver. Florida allows claims against businesses that serve alcohol to certain persons under a provision known as "dram shop" laws. However, not all third parties who provide alcohol can be held liable for the costs of an alcohol-related accident. Bars and restaurants. Florida's dram shop law differs from other state’s laws, because in Florida, it doesn't specifically prohibit an establishment from serving alcohol to someone who is already intoxicated. Instead, the law focuses on a bar’s liability for serving alcohol to anyone under age 21, as well as the establishment knowingly providing alcohol to someone who's "habitually addicted" to alcohol. In both cases, the bar or restaurant could be held liable for injuries caused by intoxicated minors or drunk drivers with known addictions. This exception is based on the assumption that alcoholic drivers lack the ability to make safe and responsible decisions about drinking, and the operator serving the driver assumes that responsibility. The law even allows the drunk driver himself to collect injury and property damages from the bar that served him, as long as the bartender or provider of alcohol was aware of the driver’s alcohol dependence. Liquor stores. Establishing accident liability for a liquor store, grocery store, or another vendor of closed containers of alcohol is particularly difficult, since it's harder to establish fault for products that aren't consumed immediately after purchase. However, Florida businesses that sell beer, wine, and spirits to minors or people with a known history of addiction to alcohol can be held liable just as proprietors of bars and restaurants can. In the case of minors, a bar or liquor store may be held strictly liable for damages caused by the drunk-driving minor, even if the establishment was unaware the person was a minor at the time of sale. Social hosts. Hosts of parties or participants in social gatherings cannot be held liable for any injuries caused by drunk driving unless they willingly and knowingly provide alcohol to a minor. If alcohol is given to or accessed by a person under 21 at a private gathering, the host or property owner can face fines and civil damages as well as criminal charges. A successful dram shop claim can provide victims and their families with many different kinds of compensation. A bar or restaurant can be held liable for the costs of emergency room care, surgery, inpatient hospital stays, rehabilitation, medications, and in-home assistive care. In addition, a business may have to pay for the victim’s lost wages, future disability expenses, lost or damaged property, and funds to compensate the victim for unnecessary pain and suffering. What Recourse Do You Have? 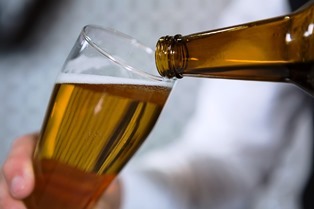 In order to get payment for injuries and property losses, victims have to prove that the business was aware of the circumstances in which it was providing alcohol to a minor or addicted driver, and that the actions of the waiter or bartender directly led to the accident. The victim or his family must also file a claim within the time limit allowed for Florida injury claims, otherwise the case won't be heard by the court and the victims will lose their right to legal action. Victims only have four years from the date of injury to bring a case against a dram shop—and unfortunately, evidence is often destroyed in the days and weeks following the accident. If you're considering filing a drunk driving case, it's best to speak with our attorneys as quickly as possible. Simply fill out the form on this page today to make an appointment in our offices, or call the number on this page to speak to an attorney about your legal options.